Blog Search Engine Success : Texas Tim Potter Expat Blog. Welcome to my Blog. I am Tim Potter that lives Houston Texas. I spent that last 6 years in the Philippines. This is my technology blog with some hints of other things that relate to living in the Philippines. Blogger - Which is what I am using is an excellent source to begin with however it has many Draw Backs. The templates supplied are not optimized for search engines. With that I spent hours fixing these errors. Errors that are vital to reaching that number one position. Some of the errors required me actually modifying the Template to adjust these errors. This is not easy however it can be done. Couple of errors I received were duplicate meta tags, duplicate titles. This is a huge issue when you consider the goal of getting to number one. However Blogger is a Google Product so it tends to get a little more consideration then other platforms. Always the grass looks greener on another platform however Word Press has a huge community and with that they also have a huge database of people that are able to assist you. 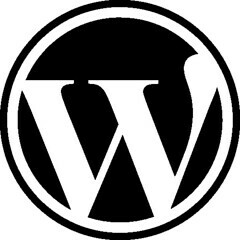 I am not sure of the all the errors with Word Press they do seem less when I was doing research trying to fix my site. Additionally my duplicate site at the time did not have all these errors. When a search engine goes to find key words the first place they seem to look at is your website address and title pages. These are vital to match your keywords you are trying to target. Additionally within the body of your text you must contain keywords that also relate to your Blog Title. However there is a very fine line on what google accepts and does not accept. I have read about 10 articles on the subject of keywords. What is a good percentage is around 4% no higher or you may hit with what is known as key word stuffing. So keep it between 2-4% and you accomplish your mission. Remember your title should contain the keyword you are looking to accomplish. This has been around for a long time. Each post you do in a blog should have a meta tag for search description. Thus your post can easily be found in the search directory. Again your search description needs to contain the keywords you are striving for in the post. There are many other meta tags that help however one that seems to really help is having Authorship and if you have a Google plus account link it to that. Also a meta tag that targets your language you are writing in is very helpful to the search engines. There seems to be a bit of contention on the next one and this is meta tag for keywords. Years ago this seemed very important however with the new algorhythms in search engines it is not that important. Yet still it is another piece and you should have a keyword meta tag. When you write your blog it seems from what I read in various blogs from specialist in the field that your first 100 words are the most vital. So you need to ensure that those first 100 words contain 4% keyword. Thus the search engine will be very familiar with your site. Why do I say that. Because that is the percentage of searches that are done on Google vice Yahoo, Bing, Ask and the various other search providers. So do not forget to also do a sitemap and webmaster tools for Bing. They additionally do this for yahoo. With Firefox containing just under 20% of market share in browsers and switching from Google to Yahoo with a default yahoo tool bar. There will be a slight shift in that market share. What this is are how many sites leading to your website. The more the better is the correct answer however let me explain this further. The people at the Search engines are not stupid. If you have a brand new website that is generating very little traffic there is no way you can have 10,000 back links. You need to build these in a natural conforming way. The best way though not much weight is given to them is commenting on others blogs. 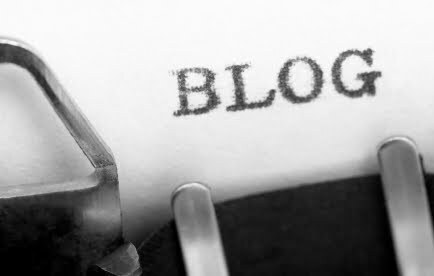 You could also write a guest blog yet when you first start out that is not really an option. What I found best is find forums in your niche market and create back links via your profile. Also post your work on the forum for others to read. You get good feed back from your post and if the forum allows it you can get a back link also. It is better to have 5 quality back links from respected sites then 50 from junk sites. This is a vital tool in the success of your blog. The search engines spend lots of time on social as the data is constantly changing. So post your work on the social media page. Create fan pages in social media. Link your site to your profiles in social media. This way you get the word out your site is out there. Also it creates a buzz and people start talking about your site. The more people share the better it is for your site. These are just some newbie tips to help you with your first blog or web page. It can be overwhelming being a newbie yet with a little bit a time and a little reading you will up and running to the first page of your favorite search engine. Also do not forget content quality content is more important then any search engine optimization trick you can pull. Nice article!! SEO is good way to find traffic, though at first time its bit hard but if you optimize your site for search engine with good way and with good tools you can get good result. Yes it has been one of those things that you struggle to get done. More work then people realize with a blog.